The Bears Cave and Baile Felix thermal baths - one day trip! For those who want to see two of the most attractive tourist destinations in the western Transylvania, to have a brush with the Apuseni Mountains and discover the old ways of life, this trip is the best choice! 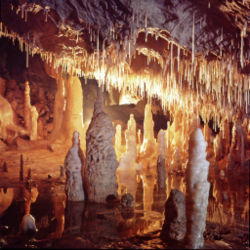 We will descend into the depths of the Bears Cave to find an extraordinary range of stalagmite and stalactite formations varying in size and forms as well as a lot of cave bear's traces. The cave was named so, as numerous "cave bears" (Ursus spelaeus) who lived 15.000 years ago,were found here. The cave was undisturbed until September 17 1983, when it was discovered during quarry works. The marble and limestone of this area was mined by the inhabitants of the nearby village Chiscãu. So the rediscovery of the cave after a blast, was only a matter of time. The first one who visited the cave was the quarry worker Curta Traian from Chiscãu. The one hour long visit will take you on the superior level of the cave where you can admire different sections of the site such as the Candles Gallery. Soon after, we'll enjoy the lunch together with a glass of "palinca" (a traditional home-made plum brandy) in Chiscau at the local ethnographical museum. On the way back we will relax for several hours in a thermal spa at Baile Felix, where the hot springs have been known since the Roman times. Baile Felix and 1 Mai are two thermal spa resorts located in a hilly area with beach and oaktree woods, 8 km S of the municipality of Oradea. 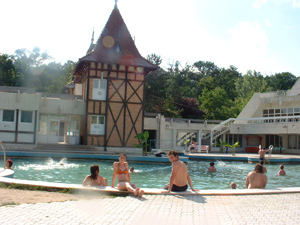 The resorts host many mineral springs with thermal waters (20-48°C), oligothermal, radioactive, sulphurated, calcic, sodic, bicarbonated waters known since the beginning of the millennium. To conclude, this trip gives you the opportunity to have a brief introduction into the Romanian folk heritage, but also to relax and enjoy the scenery! - minimum persons required - 2. 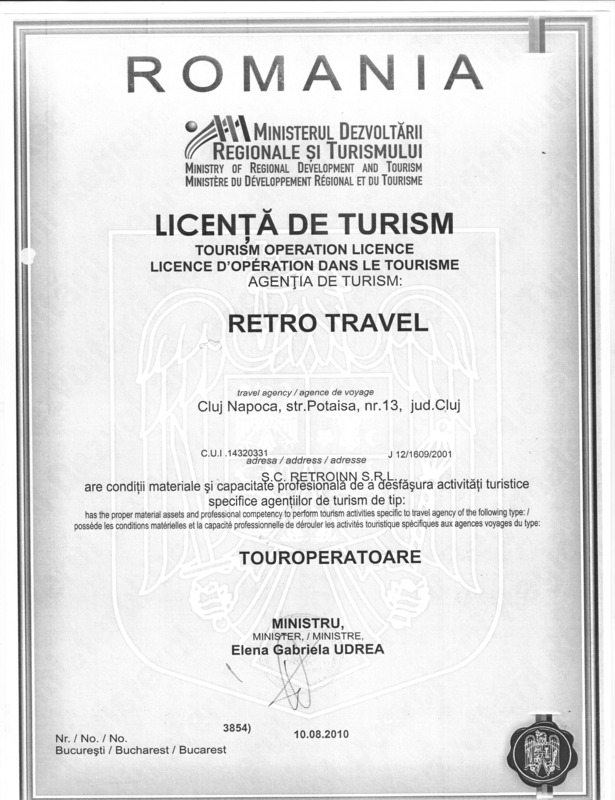 Note: get over 20% off the total price by being accommodated at Retro Hostel!